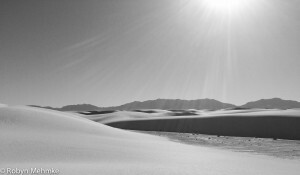 This is the photo that I chose to print at Craig’s studio. We each picked a selection of our photos to make a slide show for the group and then chose one photo that he printed up on his humongous Epson printer for each of us. I had a real time picking which to print. Craig loves to shoot in black and white and had me turn my photo into a monochromatic in Photoshop. I will put up the color version tomorrow and you can decide which you prefer. 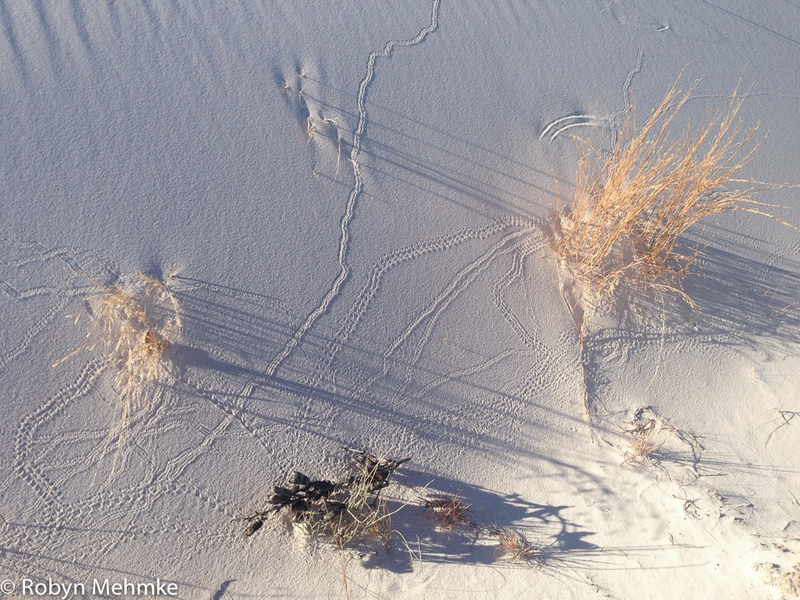 This is the top of a cottonwood tree growing up through a sand dune. 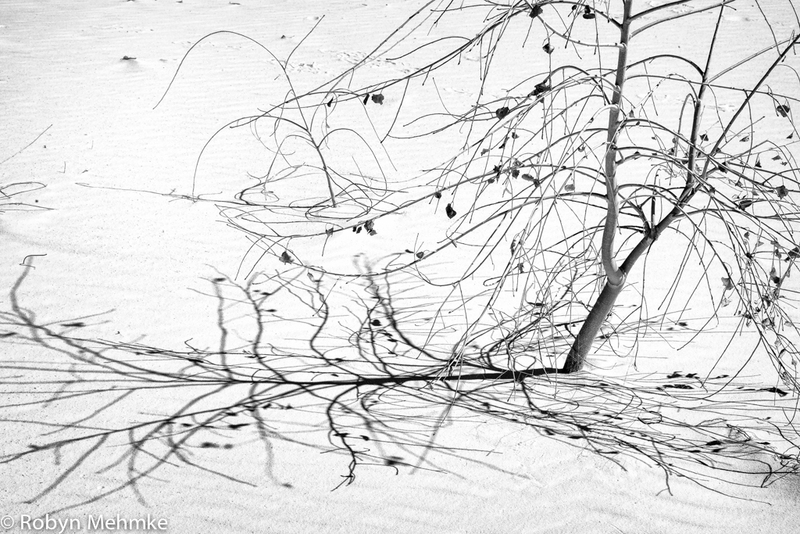 I know it looks like a small tree, but it extends down a good 20 feet or more through the dune. I’m off to help Mom and Dad celebrate their 87th wedding anniversary a few days early. 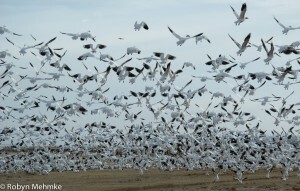 Brings back memories of when I saw the Alfred Hitchock movie, The Birds. 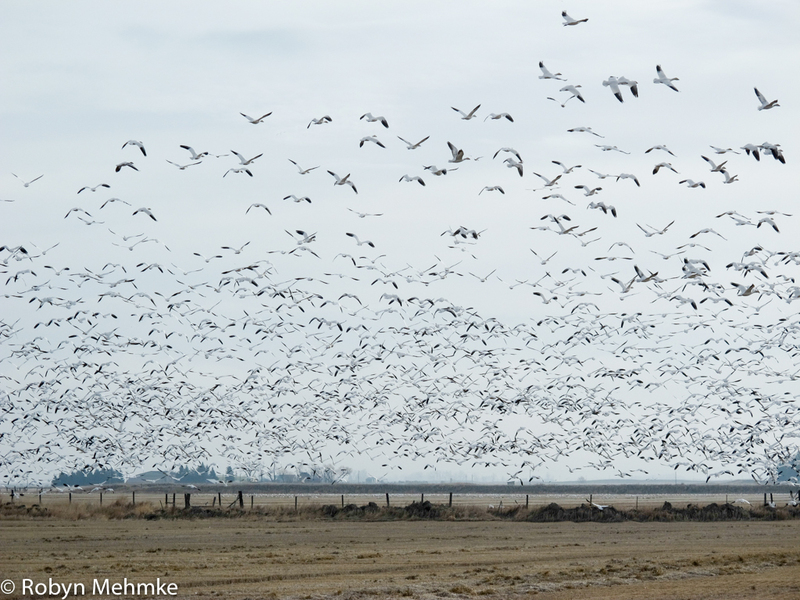 Walter went early yesterday to Freezeout Lake to see the Snow Geese spectacle going on there. 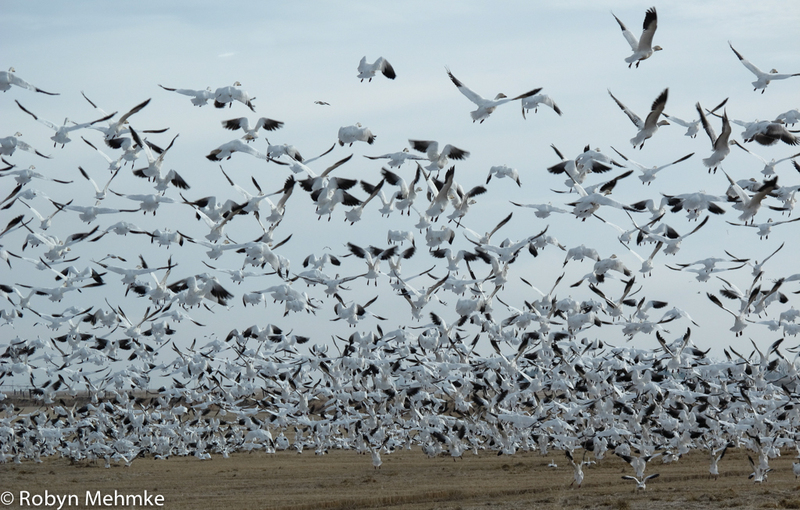 This is spring migration time for many birds as they head north for the summer and a very popular place for photographers. 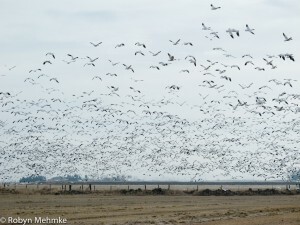 The birds are expected to leave by the 2nd week of April. So, Walter is my guest photographer today. 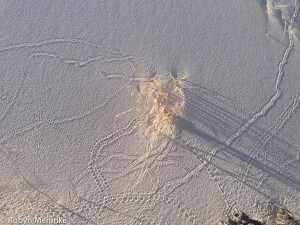 Here are a couple of shots that he took. 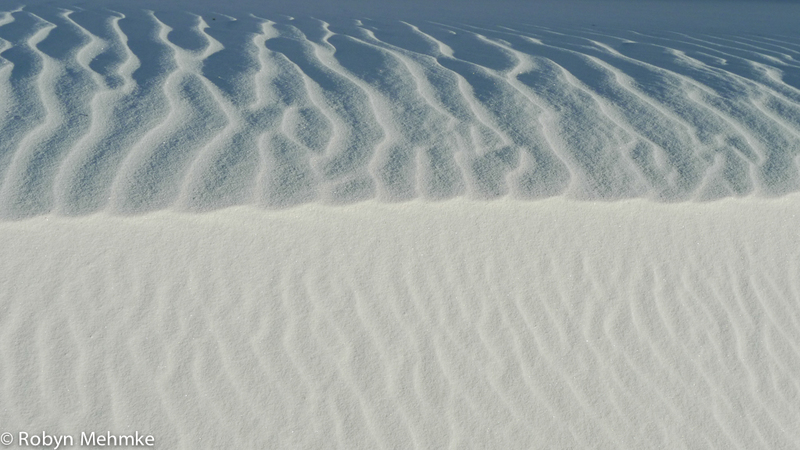 One learns to really appreciate texture when everything around is pure white. 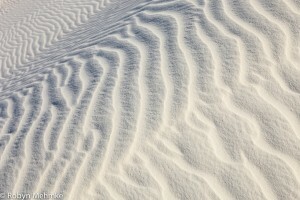 Here are some examples you find of texture at White Sands. 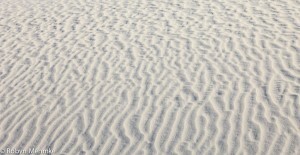 The distance between the ripples is determined by the wind and is called the jump or leaping distance. This is also called saltation. We had a wonderful 90 year old Phd geologist along with us that kept us very educated. 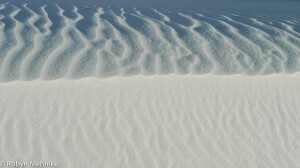 Another interesting fact about White Sands is that the dunes are gypsum and thus, very soft, so nonabrasive. 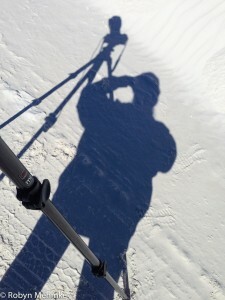 A wonderful thing for photographers, as we don’t have to worry about gypsum sand scratching lenses. Gypsum has a hardness of 2 whereas, diamond has a hardness of 10. The Mesquite Dunes in Death Valley are made of quartz(7) and feldspar(6). 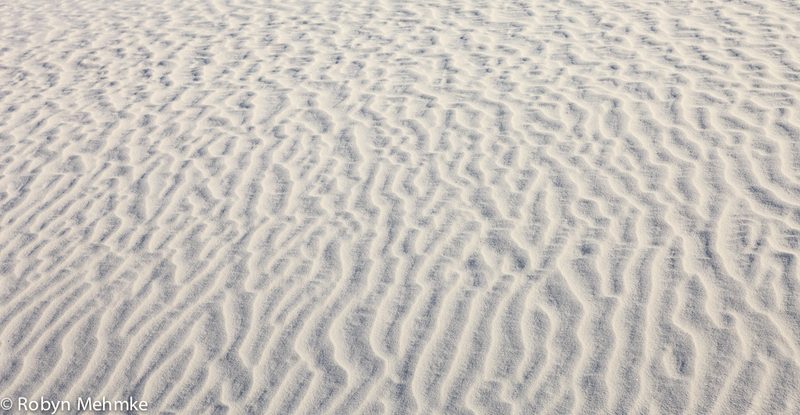 The glass in our lenses is 5.5, so you can see why you have to be so careful in Death Valley, as the sand there can scratch a lens. 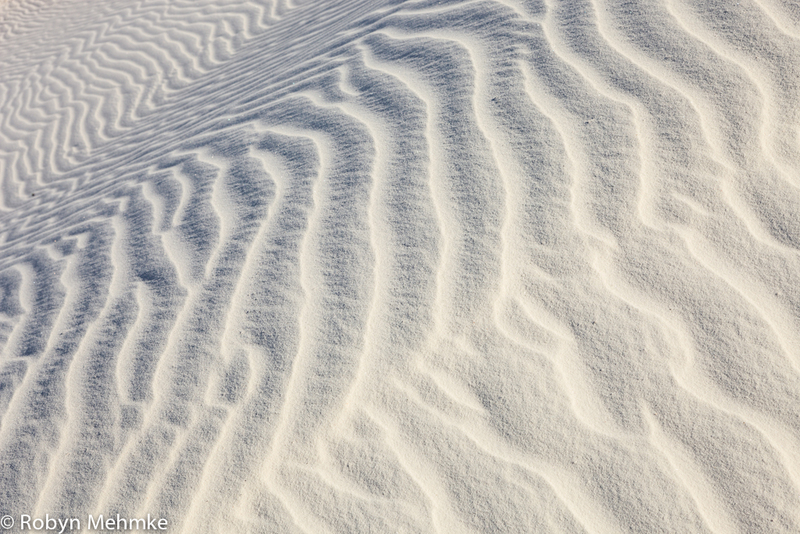 You still would not want to change lenses in the field in White Sands, as who wants dust on a sensor? 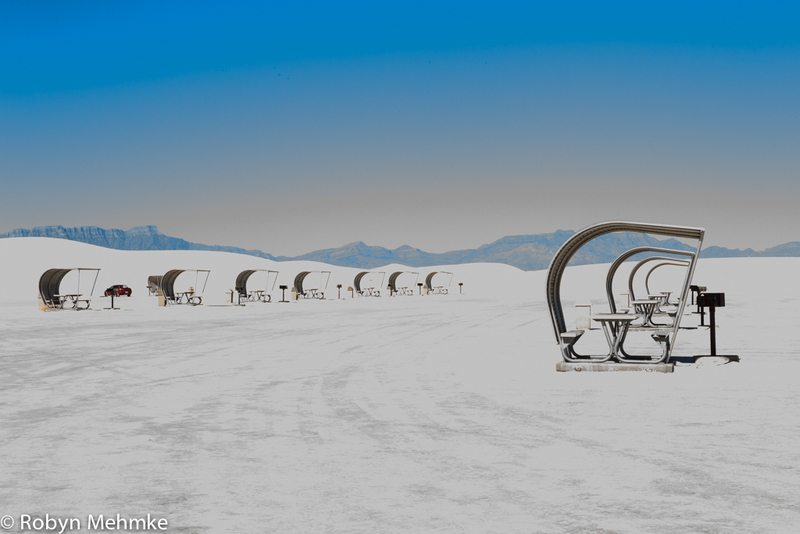 Don’t these look like something you would see in a science fiction movie? 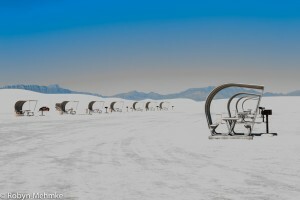 It is actually the picnic area in white sands. The only place there are rest rooms, so we always stopped here on our way to hiking the dunes. This was one of my instructor’s favorite photos of mine. 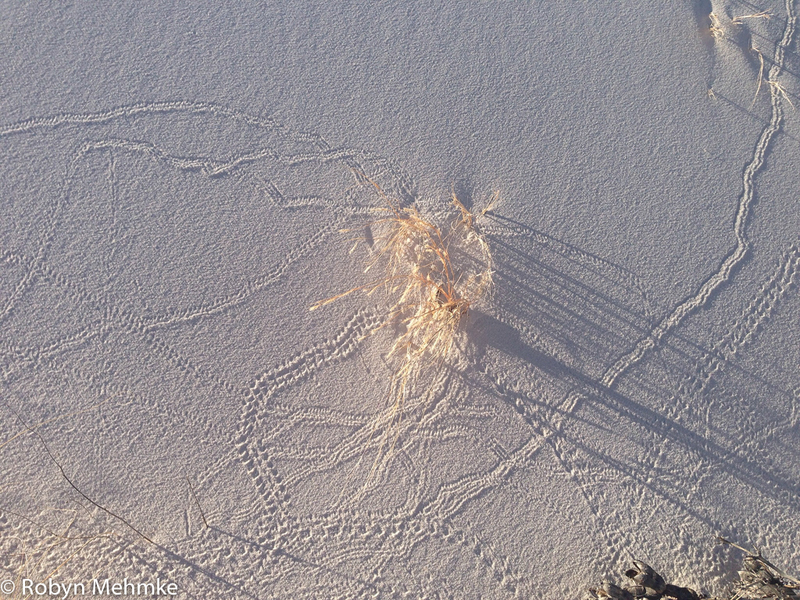 Day 86 Whose Tracks are Those? 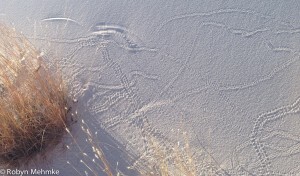 Some little critters run around on the white sand at night, as you can see. 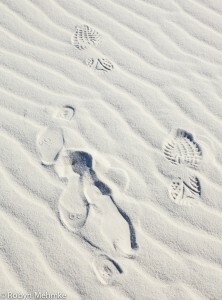 The closest dunes to the road had lots of footprints which most photographers do not like. I found them pretty fascinating. It was fun to see what tracks different shoes left. There was the occasional bare feet that went tracking through too. 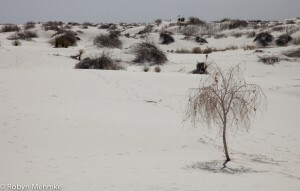 There are cottonwood trees growing on and near the dunes also. 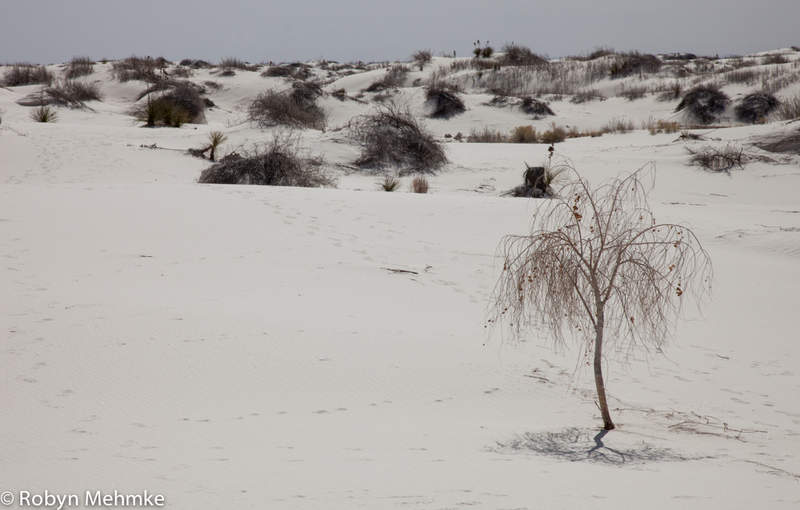 They do the same thing as the yucca – as the sand dune gets taller, so does the tree. I am not sure which of these photos I like best, so here they both are. One was taken in monochromatic and the other in landscape mode. Mr. Sun was cooperating by giving me some illuminating rays on the sand. Day 81 Who Might This Be? I always seem to get a silhouette to take home. Only portrait I like, I guess. This is what the dunes look like late in the afternoon with all the lovely shadowing. We spend a couple evenings here doing the sunsets. What a tranquil place. 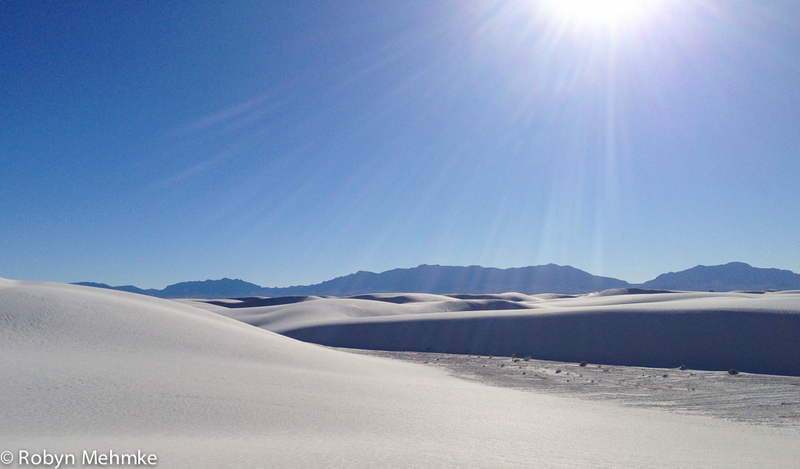 The beauty extends for miles. I found myself just soaking it in. 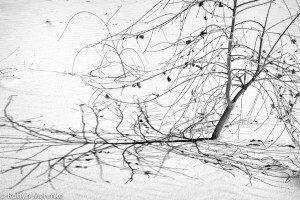 I have several shots in color, but really like this in black and white. You are currently browsing the Window on Cherry Pie Lane weblog archives for March, 2014.